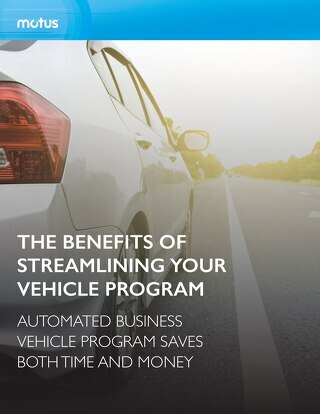 This is an article showcasing how procurement leaders in the retail space can achieve their business goals through their mileage reimbursement program. A whitepaper that shares how to make the most of your retail field team. 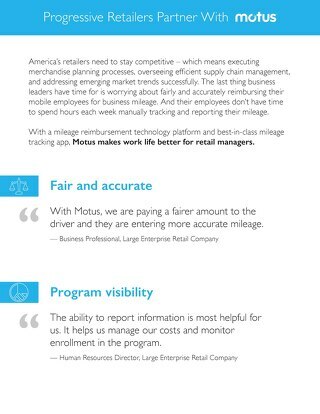 A case study sharing large retail company success in reducing reimbursement, creating IRS-compliant mileage logs, and increasing insights with Motus. 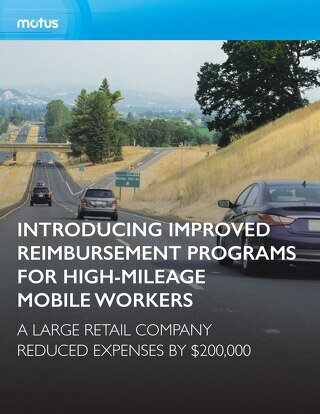 A case study of how a clothing retail company fairly reimbursed mobile workers, saved time and money, and simplified their program with Motus.